Tamashii Lab delivers you some amazing high-quality prop replicas! The Laser Blade from the classic 1980s live-action show, Space Sheriff Gavan! 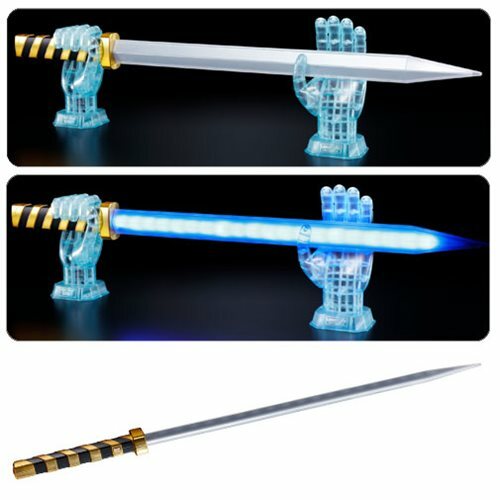 The nearly 32-inch long sword not only lights up, but it also includes sampled sound effects, plays the theme song from the show, and even plays famous lines from on-screen! The set includes the sword, a two-piece stand, a booklet, and a special message card. Requires 3x "AAA" batteries, Not included. Ages 15 and up.